Look what Tink found! 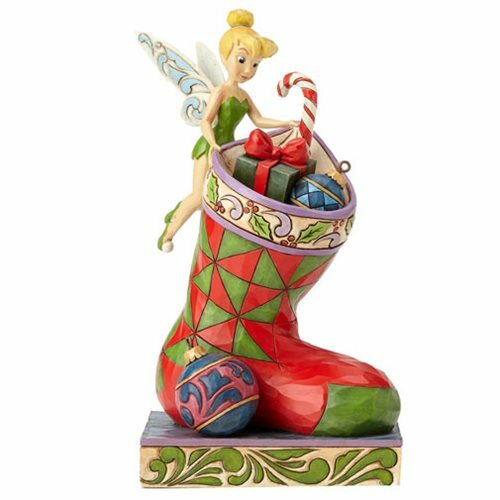 Peter Pan's little friend seems entranced by the stocking full of gifts in this brightly hued Disney Traditions Tinker Bell Christmas Stocking Stuffer Statue. Then again, maybe she's the one that put the presents there! Made of stone resin, the marvelous piece measures about 7 1/8-inches tall x 4 1/2-inches long x 4 1/4-inces wide. Ages 14 and up.